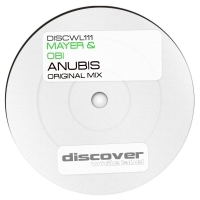 Mayer and Obi team up for Anubis the latest Discover White Label offering. Anubis has a brooding feel about it, with underlying acidic tones and a haunting vocal sample. Uplifting but with a touch of melancholy, Anubis ticks all the required trance boxes plus a whole load more. 'Anubis' is available now from Beatport and iTunes.